Hair has a significant role to play in beauty for both men and women. It can change the overall appearance and can enhance ones confidence and personality. Unfortunately, there are a lot of people who have thin and fine hair and therefore have to use a number of products to make it look healthy and full of volume. There are many reasons why your hair looks thin and flat but with the right styling tips and ideas, you can add life to your hair. It is a big mistake to keep thin hair long. It will make the hair look even thinner and fragile. Hence, if you have thin hair, it is best to cut the hair short to make it look voluminous and healthy. You can add volume to your hair by blow drying. When you blow dry your hair, make it a point to brush the hairs in the opposite direction, it will make the hair look thick and bouncy. Hair mousse is an ideal product for you if you have thin hair. It will make the hair look bouncy and will add a lot of volume to it. It will also ensure that your hair shines and does not become stiff. You should invest in a high-quality product that can be used regularly. You can get many more hair styling tips from this post at Asheville blog. When you have thin hair, your scalp will be easily visible and if you have dark, black hair, it will make your scalp more visible. Hence, you need to opt for a hair colour which is a few shades lighter than the natural hair colour. This will lessen the visibility of the scalp. When you have thin hair, it is best to carry a headband or a scarf with you at all times. It will help you disguise the fine hair. When you have thin hair, you need to opt for haircuts that will add volume to the hair. Opt for a Pixie hair cut where the length will be short but with the right style, it can make the hair look full. You can also opt for different types of bob cuts which are ideal for women who have thin hair. 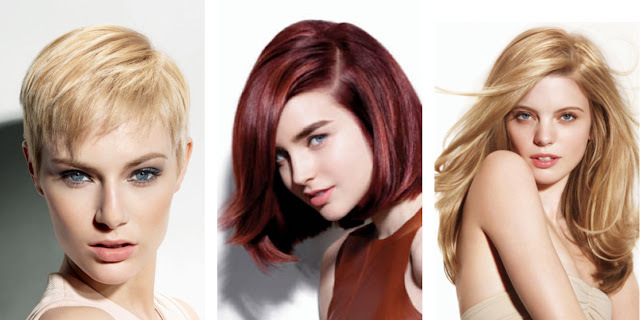 The classic bob will never go out of style but there are many variations to it as well. The shorter the hair, the better the look. Alternatively, you can opt for a lob hairstyle which is a medium length style where the hair reaches the shoulders. A lob cut with long layers can also make the hair look dense. There are many different hairstyles you can choose for yourself if you have thin hair. However, it is important to ensure that you keep your hair healthy and well nourished by using the right hair products.